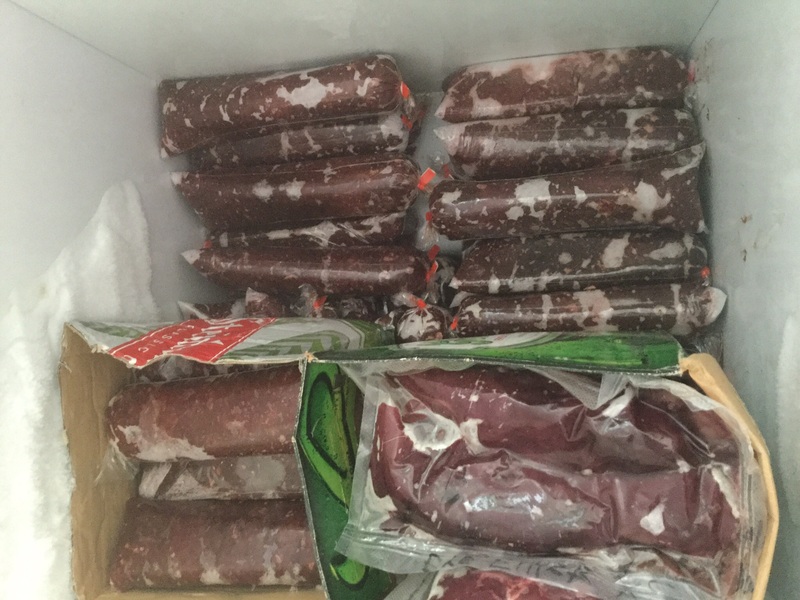 Thread: Anyone willing to help/share Venison Sausage recipes?? We've got the mincer , it does around 150kg of meat per hour so a semi industrial job. We've been making mince ...yea yea I know not rocket science but saves us some money doing it ourselves ...... So Next is giving homemade venison sausages a crack. munching on a couple as I type. Sweet fella - thanks for that .... the next red skin's gonna go this way , good idea cooking a bit of the mix before you make 30kgs of them! Check out Scott Rea Projects on YouTube. Scott is a professional Butcher. As probably this forum's preeminent highjacker of threads I grant you a royal pardon Eeebees. Also nothing to do with venison sausages. Sweet as - could be a deal to be done , the mincer is rated at around 150kgs per hour and I've got mince tubes that package them in around 500 to 700 gram packets. R93, Beaker and Roy Lehndorf like this. Sounds great , but why carrots? ARdave and Beaker like this. Well there you go then, hadn't thought of it like that. We all deserve a taste test when you are done.